Landscape After Rain, 1597-1658, by Xiang Shengmo (Chinese, 1597-1658). Ming dynasty (1368-1644). Ink on paper. The Avery Brundage Collection, B72D37. Photograph © Asian Art Museum of San Francisco. Society for Asian Art and Asian Art Museum are separate non-profit organizations with separate memberships. Please use the appropriate registration buttons to register for Society programs. Museum goers know how satisfying it is to revisit a work of art and see more than we had previously. Possibly because of what we have read and seen in the interim, and certainly because we have now spent more time, we deepen our appreciation fo the artist's skill and understanding of the context and elevate our experience. Chinese paintings reward careful looking and informed analysis - close reading. In fact, the verb in Mandarin (du 读) is the same as in English (read). 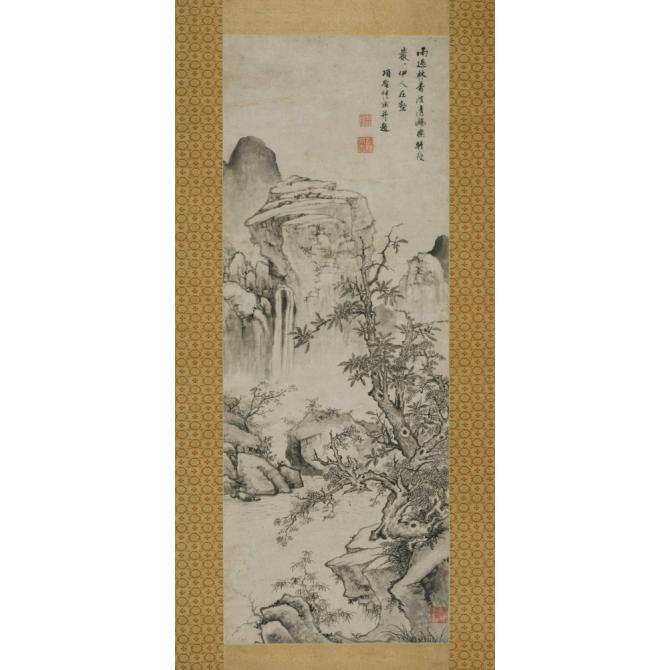 In this study group, we will read landscape paintings in the Asian Art Museum's collection from a variety of angles including the identities of artist and patron, historical and art historical contexts, and materials and formats. We will also spend time in the second floor galleries. Texts that will be used to frame the discussions during this study group are as follows. All are on the reserve shelf in the museum library. Melissa Abbe is an independent art historian who has served as an Instructor of Record for Arts of Asia, Docent Instructor, SAA Advisor, and SAA Board Member. She has contributed to catalogues for permanent and visiting exhibitions, Later Chinese Jades: Ming Dynasty to Twentieth Century in the Asian Art Museum of San Francisco and Between the Thunder and the Rain: Chinese Paintings from the Opium War to the Cultural Revolution 1840 - 1979.